The Oriental Institute Open Access Publications. Many of the publications of the American School of Classical Studies at Athens are available online in open access formats. A History of the American School of Classical Studies at Athens, 1882-1942; an intercollegiate project. Publisher: Cambridge: Pub. for the American School of Classical Studies at Athens [by] Harvard Univ. Press, 1947. Publisher: Princeton, N.J. : American School of Classical Studies at Athens, 1984. The Newsletter of the School, ákoue, is published by the ASCSA Development Office and sent free of charge to staff, alumni and other friends of the School approximately twice a year. No. 47 (2003)and the following issues are available. The primary purpose of the Agora Picture Book series is to enliven the experience of a visitor to the Athenian Agora, excavated by the American School since 1931. While drawing on the object and monuments that can be viewed on a visit to the site, these well-illustrated guides attempt to add some human color to the dry material remains. A number of the concise guides have become popular supplementary texts for undergraduate and graduate classes in classical civilization. Since 1998 the Picture Books have been published in color. 21: Ancient Athenian Building Methods - by John McK. Camp II and William B. Dinsmoor Jr. The digital library [at http://ascsa.net] currently provides access to the archaeological data from the Athenian Agora and Corinth together with a selection of photographs from the Alison Frantz Collection. You can use the index of categories to the left to browse this data, or search using the toolbar above. Material which has been published is made completely available to the public. Material which is unpublished is only available to researchers who have already obtained the necessary permission to study the material in person. These brief guides present concise descriptions of interesting discoveries at the site of Corinth, excavated by the American School since 1896. The existing numbers in the series focus on the Sanctuary of Demeter and Kore, the center of a healing cult situated on the lower slopes of the Acrocorinth mountain, and on the Asklepieion. The Gennadius Library (known as “the Gennadeion") contains a large collection of volumes on various aspects of post-classical Greek culture and history. The Library’s archives are the repository of many more important photographs, manuscripts, documents, and special collections. The Gennadeion Monographs series exists to publish studies related to the collections of the library. Situated on the most direct route from the Peloponnese to central Greece and Attica, as well as from Corinth to the Saronic Gulf, the panhellenic sanctuary at Isthmia preserves evidence of cult practices from at least the 7th century B.C. A Doric Temple of Poseidon was built ca. 465 B.C. and then rebuilt after a fire around 75 years later. The site was the center of a cult to the local boy-hero Palaimon in the Roman period and continued to function as a sanctuary into at least the 3rd century A.D. Its abandoned buildings were used as a quarry to build a set of Late Roman fortifications to defend the Isthmus. This series publishes excavations by both the University of Chicago and Ohio State University. Excavations on the Cycladic island of Keos revealed a number of prehistoric sites, including the site of Ayia Irini on a peninsula at the northwest end. This site was occupied from Neolithic to Roman times, flourishing particularly in the Bronze Age when it was the location of a sanctuary. A large number of near lifesize figures were discovered there during excavations in the 1960s by the University of Cincinnati. This series is no longer published by ASCSA. Other volumes have been published by Philipp von Zabern Verlag. Lerna, on the shore of the Gulf of Argos, is one of the most important prehistoric sites in Greece, having been occupied with few interruptions over a period of some 5,000 years, from the 6th to the 1st millennium B.C. A simple Neolithic village became a more complex settlement in the Early Helladic period when the massive House of the Tiles was built. Destroyed by fire at the end of the period, it was covered by a tumulus in the Middle Helladic period. This series presents the results of excavations by John L. Caskey from 1952 to 1958. All volumes of this series are available online. These volumes present the definitive account of one of the masterpieces of Greek architecture, the grand entrance to the Athenian Akropolis designed in the 5th century B.C. by the architect Mnesikles. Written by a father and son team over a period of 80 years, the two books present a complete overview of the development of one of the monuments of western civilization. No further volumes are planned. High in the mountains of Arcadia, the Temple of Apollo Epikourios at Bassae was built and rebuilt a number of times during the Archaic and Classical periods. According to the Roman traveler Pausanias, the architect was Iktinos, who was also responsible for building the Parthenon in Athens. Although the accuracy of this statement is uncertain, the temple remains one of the most spectacular and well preserved in Greece. This four-volume series, including large-scale plans, is based on a detailed study by University of Minnesota researchers. The series is complete. Weber, Shirley Howard, 1883- /  Voyages and travels in Greece, the Near East, and adjacent regions, made previous to the year 1801; being a part of a larger catalogue of works on geography, cartography, voyages and travels, in the Gennadius Library in Athens, in the Travels in Southeastern Europe collection at the University of Michigan Library. 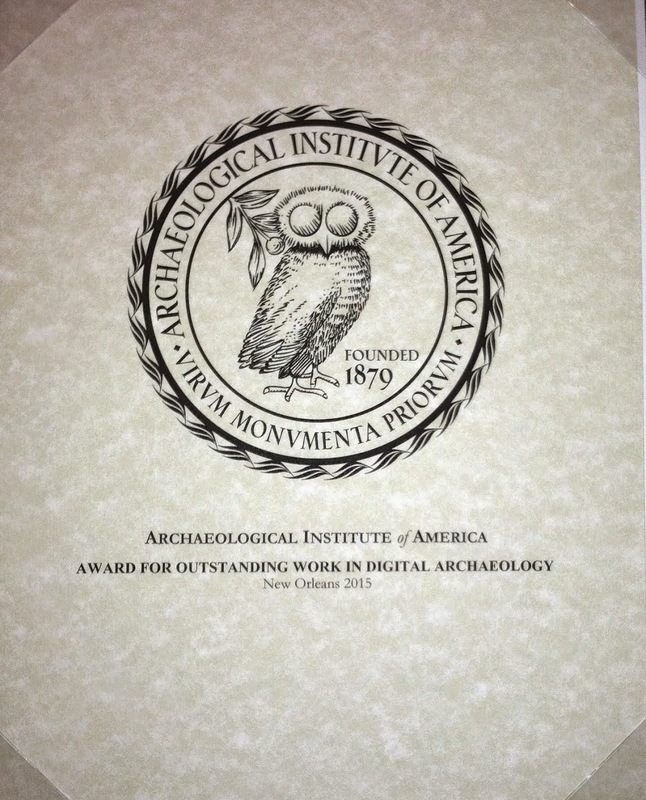 Archaeological Institute of America., American School of Classical Studies at Athens. Boston: Cupples, Upham and co. [etc. ], 1885-97, at the Making of America (MOA) collection at the University of Michigan Library. The journal Hesperia, the series Hesperia Supplements and the series Athenian Agora and Corinth are available to institutional or individual licensees from JSTOR. “Celebrating 75 Years of Hesperia,” Hesperia 76 (2007), pp. 1-20, by Tracey Cullen. “The Birth of Hesperia: A View from the Archives,” Hesperia 76 (2007), pp. 21-35, by Jack L. Davis. “Byzantium and the Avant-Garde: Excavations at Corinth, 1920s-1930s,” Hesperia 76 (2007), pp. 391-442, by Kostis Kourelis. “An Archer from the Palace of Nestor: A New Wall-Painting Fragment in the Chora Museum,” Hesperia 77 (2008), pp. 363-397, by Hariclia Brecoulaki, Jack L. Davis, Caroline Zaitoun, and Sharon R. Stocker. “Supplementary Images of the Archer Fragment: Addendum to ‘An Archer from the Palace of Nestor’,” Hesperia 77 (2008), by Hariclia Brecoulaki et al. “Hunting the Eschata: An Imagined Persian Empire on the Lekythos of Xenophantos,” Hesperia 78 (2009), pp. 455-480, by Hallie M. Franks. “Stone Age Seafaring in the Mediterranean: Evidence from the Plakias Region for Lower Palaeolithic and Mesolithic Habitation of Crete,” Hesperia 79 (2010), pp. 145-190, by Thomas F. Strasser, Eleni Panagopoulou, Curtis N. Runnels, Priscilla M. Murray, Nicholas Thompson, Panayiotis Karkanas, Floyd W. McCoy, and Karl W. Wegmann. “Catalogue of Late Helladic IIIA2 Pottery from Tsoungiza”, an appendix to “A Deposit of Late Helladic IIIA2 Pottery from Tsoungiza,” Hesperia 80.2 (2011), pp. 171-228, by Patrick M. Thomas. Heinrich Schliemann' Diaries are now online in facsimile at ASCSA. So also are lareg numbers of documents and finding aids in the ASCSA Archives in the Gennadius and Blegen Libraries. Network for the documentation, preservation and enhancement of monuments in the euro-mediterranean area. Project “Egeria” is a Community Initiative Programme Interreg IIIB – Archimed 2000-2006. It is a project of inter-state cooperation, which involves twelve public and private, religious and secular institutions from eight states: Greece, Italy and Cyprus, as well as a large number of non-European states, such as Turkey, Syria, Lebanon, Israel and Egypt. It is financed by ERDF funds and co-financed by national funds. The project focuses on pilgrimage sites, the immovable and movable pilgrimage monuments that are interspersed in the Mediterranean landscape but also in time, from antiquity to the present. The main objective of the project is the establishment of a network of cooperation for the documentation, preservation, enhancement and promotion of pilgrimage monuments. This objective is accomplished through the various activities and products of the project. One of these products is the current website, which presents selected pilgrimage monuments and proposes cultural itineraries based on these monuments. The History Studies (HS) is an international, peer-reviewed online history journal. All submitted articles go through a rigorous double-blind review. The HS is published three times a year. The HS has a worldwide circulation. A limited number of each issue is printed and delivered to selected libraries. The HS publishes academic articles, interviews, translations and book reviews. The HS accepts papers in every geographical and historical period of history from the ancient times to present. The editorial board members and referees of the HS have a wide range of expertise. The primary publication language of the HS is Turkish of Turkey. The HS also accepts submissions in other Turkish dialects, in English, French, German, Italian, Russian and Spanish. The official editor and owner of the History Studies is Osman KOSE but the journal is regarded as a joint periodical of all historians. All the contributors, writers, editors and referees of the journal are historians. The HS is a common meeting place of historians regardless of their area or period of concentration. The HS is an independent academic journal. It has no affiliation with an institution or an organization. We are happy to present you the Middle East special issue of History Studies. This special issue was preparered with the co-guest editorship of Professor Dr. William W. Haddad from California State University-Fullerton and Professor Dr. Mustafa Ozturk from Firat University. Twenty two articles, two book reviews and a commentary in this issue cover different aspects of the Middle East history from past to present. We hope you will enjoy reading them. Ancient Lives is a collaboration between a diverse collection of Oxford Papyrologists and Researchers, The Imaging Papyri Project, The Oxyrhynchus Papyri Project, and the Egypt Exploration Society and the following institutions. They can be found in the British Museum. On this website, a first reading is proposed by Bert van der Spek of the Free University of Amsterdam (Netherlands) and Irving Finkel of the British Museum. * Please notice that this is a preliminary edition. This web publication is intended to invite suggestions for better readings, comments and interpretations (go here to contact Van der Spek). Reading Akkadian prayers and hymns : an introduction / edited by Alan Lenzi. language — Readers. I. Lenzi, Alan. This series is the ideal place to publish for authors and editors who wish their work to be widely read. Works published in the series are (and will remain permanently) open access. This ensures the widest possible readership for these works. Reading Akkadian Prayers and Hymns: An Introduction . Centro y periferia en el mundo antiguo: El Negev y sus interacciones con Egipto, Asiria, y el Levante en la Edad del Hierro (1200-586 a.C.). El Intercambio de Bienes entre Egipto y Asia Anterior: Desde el reinado de Tuthmosis III hasta el de Akhenaton. The Studies series of the British School at Athens publishes a range of material beyond the excavation reports which are the focus of the Supplementary Volumes. They consist mainly of BSA-led conference reports or Festschriften for BSA members, both of which embrace a wide range of content, from the mesolithic to mediaeval periods. In addition two volumes present authoritative accounts of pottery production at Knossos on Crete in the Bronze Age and in the Greek and Roman periods. The Supplementary Volumes, originally Papers, of the British School at Athens primarily consist of full publication of excavations carried out by members of the School or under its auspices, over the last one hundred and ten years. Earlier volumes are devoted to a range of other topics, such as the techniques of Greek sculpture and the papers of George Finlay, an influential British figure in the early history of the modern Greek state. The main body of the series covers excvations carried out at Lefkandi on the island of Euboia, in the Cyclades and on Crete, especially Knossos, during the whole of the sites lengthy history. Places beyond modern Greece are also to be found, Smyrna in Turkey and Butrint in Albania. All volumes are richly illustrated. AWOL's full list of content in JSTOR with substantial representation of the Ancient World. This is the site for teachers of all classical subjects. Here you can share resources, ideas, advice, and news about your events. I hope you register and find the site useful. Recent Posts | What’s been in the news? Annotate regions of an image by drawing rectangles, polygons, and ellipses, apply labels to selections, and manually create links between sections of an image and transcript lines. 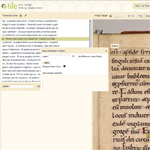 Import TEI P5 or JSON data directly into TILE or create a script to import from various XML formats. 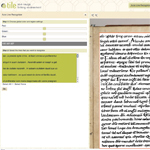 Export your data as TEI or JSON to save your progress or use scripts to output into any XML, HTML, or text-based format. Additional import/export tools can be developed as plugins. Extend the core functionality of TILE by creating a plugin that can manipulate TILE’s interface, filter and process data, and connect to other tools. In July 2006, the Dorot Foundation Dead Sea Scrolls Information and Study Center, in memory of Joy Gottesman Ungerleider opened to the public. It is situated in the new Shrine of the Book complex at The Israel Museum, Jerusalem. The aim of the Center is to introduce visitors to topics related to the Dead Sea Scrolls, biblical manuscripts, the Second Temple Period, archaeological excavations at Qumran, and the architecture and symbolism of the Shrine of the Book, by broadening their knowledge and providing them with the tools necessary for further research. In addition, the Center intends to develop informal educational programs, as well as databases, computer programs, and artistic means related to the topics mentioned above. We are currently digitizing the manuscripts and the archaeological collection on display at the Shrine of the Book. At this stage we are pleased to present the first two scrolls online: the entire Temple Scroll, and the Great Isaiah Scroll. This project was envisioned and funded by George Blumenthal, the Center for Online Judaic Studies. We look forward to developing this project further with additional scrolls to be digitized in the near future.